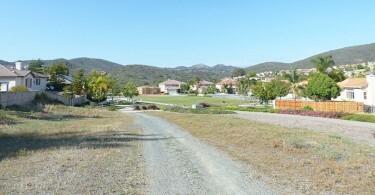 After Cerro De Las Posas Park, Quail Valley Park is largest park in Santa Fe Hills in terms of acreage. 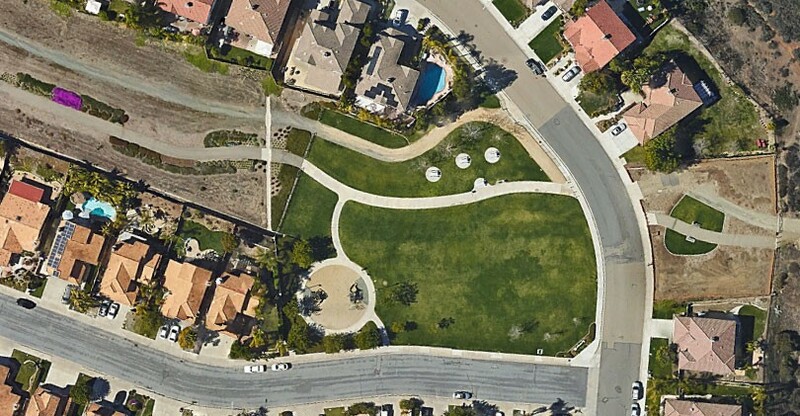 There are only a few areas of shade, so bring your sunscreen. Great views of the nearby ridgelines and access to a paved trail (Borden Trail, heading south) and dirt trail (Leading into the open space, north of Santa Fe Hills). 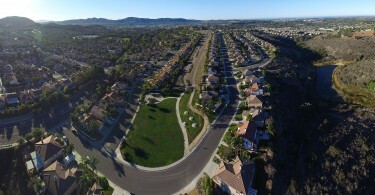 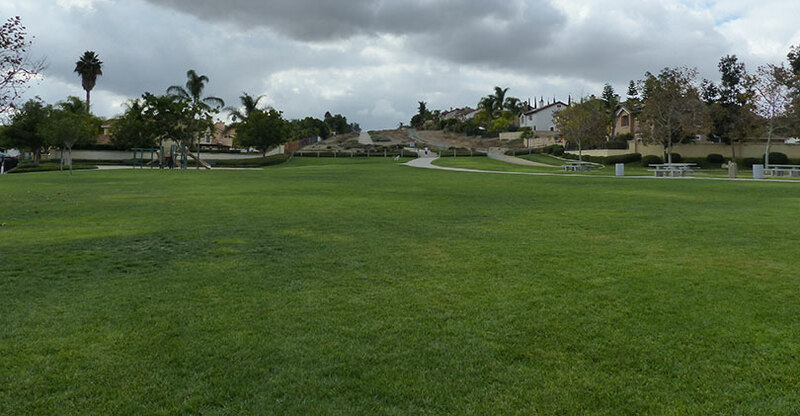 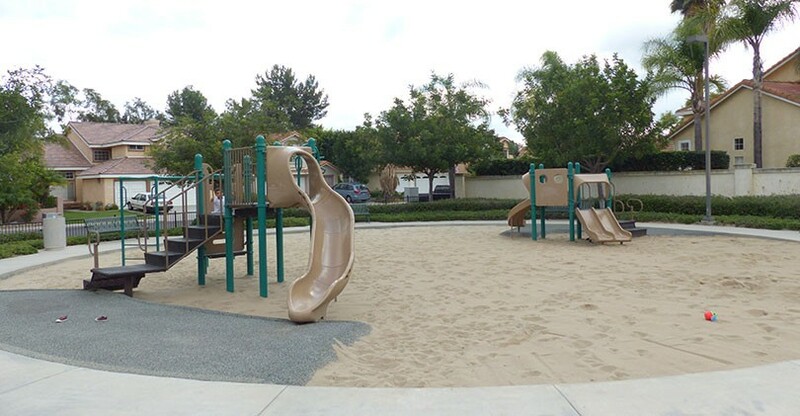 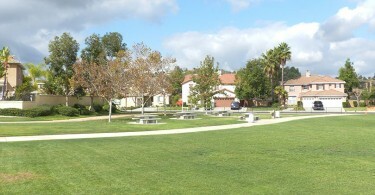 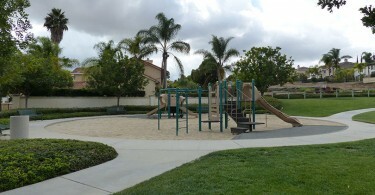 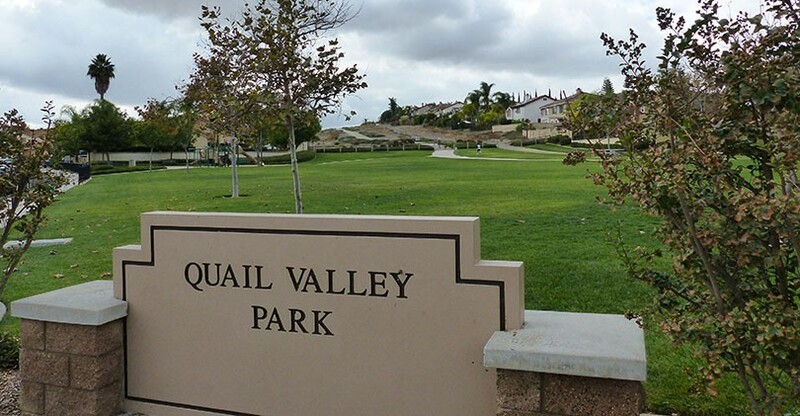 Note: The City of San Marcos refers to this park as “Quail Hills Park”.